It’s not every day you fall in love, but in 70-year-old Arthur’s case he can and does. When he spots Ruth in the retirement home, he knows in his heart he has finally found his soul mate. 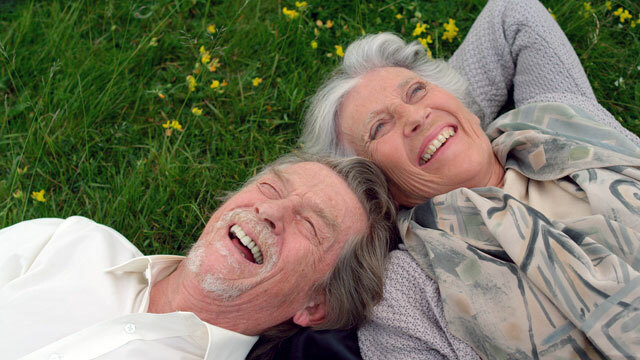 Directed by Michael Davies, the short film shows that you are never too old to fall in love. Principal cast: John Hurt, Phyllida Law and Barry McCarthy. – Read interviews with the filmmaker at bristolpost.co.uk and latimesblogs.latimes.com. Meet Desiree, Agnes and Louise. All three have come from different backgrounds and life experiences to share the same room in a nursing home. Only one has the coveted spot near the window. From her vantage point, she is able to give her bedridden roommates a daily play-by-play of the young lovers in the park. The newcomer to the ward finds her stories meddlesome until one day she has an epiphany. Directed by Douglas Boswell. Principal cast: Mieke Verheyden, Doris Van Caneghem and Blanka Heirman.